After Getting A Full Tour Of This '57 Oldsmobile 88 Convertible You Will Definitely Be Thirsting For Your Own. After Getting A Full Tour Of This ’57 Oldsmobile 88 Convertible You Will Definitely Be Thirsting For Your Own. 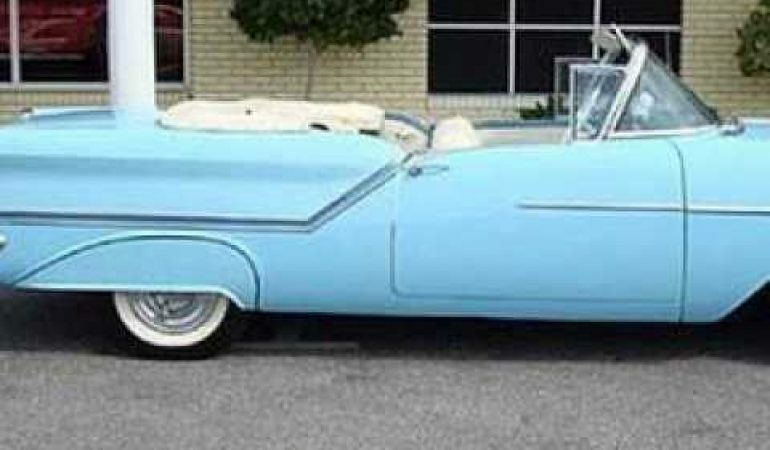 Oldsmobile released its restyled 88 series in 1957 and received quite a lot of buzz for it’s time. Equipt with a 371 cubic inch, 271 horsepower rocket V8 engine, power steering, power breaks and a hydramatic automatic transmission this 88 convertible is a beaut inside and out. The styling within car is very unique and detailed, from the intricate chrome instrument panels, trimmed ivory blue interior, comfortable seating and amazing space inside to make for a very enjoyable ride. It is no wonder that after this car tour you will want to find you your very own ’57 Oldsmobile 88 Convertible.